What Is the Story of Sister Act? 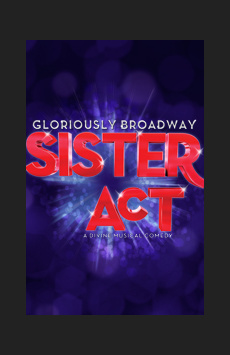 Based on the 1992 film of the same name, Sister Act tells the story of aspiring disco diva Deloris Van Cartier. Trying to work her way to the top in 1970s Philadelphia, Deloris falls in love with a very tough—and very married—gangster boyfriend named Curtis, and when Deloris witnesses him commit a murder she ends up in hiding on police orders in a convent whose parish has fallen on hard times. Though the sequin-free lifestyle doesn’t agree with her, Deloris finds her calling working with the choir, and breathes new life into the dusty convent while discovering a sisterhood she’s never had before.